Joy Home for Children requires urgent investment from businesses to insure the successful running of this charity from our UK base. About Joy Home for Children. 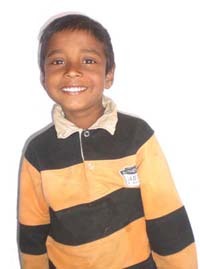 Joy Home for Children is an Orphanage based in Hyderabad India. Offering a home for Orphan Children, eliminating the feeling of loneliness and desertion. Each child becomes a member of the Joy Home family. A permanent home with 3 acres of land as their playground therefore providing a safe and secure environment. Marketing Campaign - Corporate/business sponsorship is essential for daily costs involved in running of the charity from our base in the UK. An agreed amount would be allocated and spent wisely on the most productive marketing campaigns throughout the year. This would generate large volumes of traffic to our website, raising awareness as well as donations online. Our sponsors would be given exposure through out the year on all campaigns..
Full Time 'Volunteer' Staff - To cover expenses involved in the implementation of a marketing campaign, maintenance and optimisation of the website, accounts administration, attending exhibitions, fundraising, following up enquiries as well as the daily duties involved in running of a charity. How much investment? - This all depends on the sponsors. As a small charity, it is much easier to manage finances and provide all sponsors a full breakdown of the investment. The aim is to keep operating costs to a minimum. Corporate funding to be utilised on the maintenance and expansion of Joy Home building in India enabling us to take on more orphan children.